Delicious Eggnog Cookies perfect for Christmas! This recipe makes three dozen cookies. 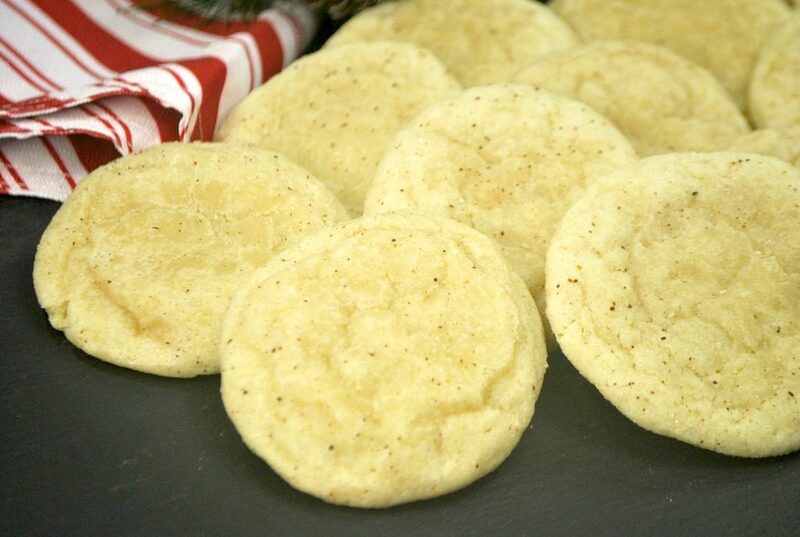 Click Here to Save these Eggnog Cookies to Pinterest! 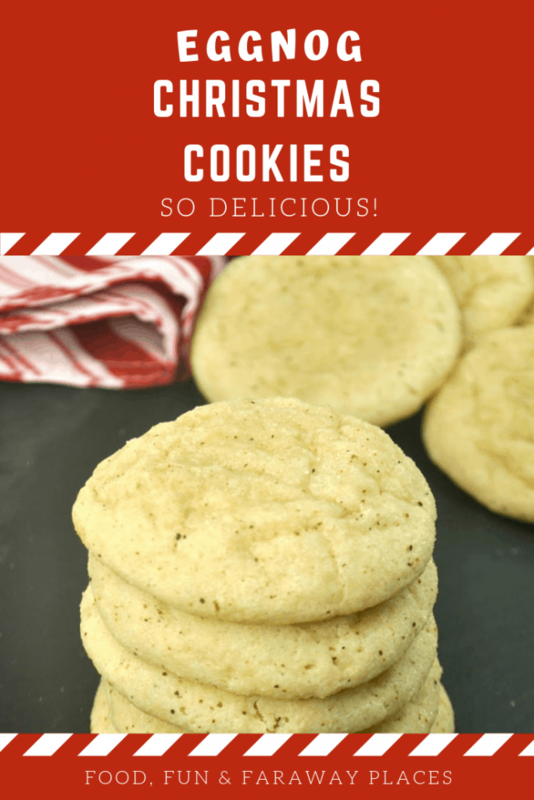 These eggnog cookies are so good! I’ve heard it said that you either hate eggnog or you love it. Which side are you on? I personally love it, especially with a little bourbon in it. No judging! But these cookies? There is no love-hate with these morsels of deliciousness. Everyone will love these cookies! If you’re looking for a dessert that’s perfect for the holidays, you’ve found it. In fact, you might just decide to call them something else the rest of the year, because you’ll want to make these again and again! One word to the wise- don’t skimp on your vanilla. 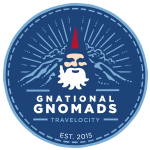 Please, please…don’t use imitation. Real vanilla extract doesn’t cost much more, and a bottle lasts for a while, even during the holidays! 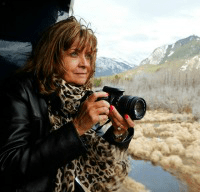 The most popular and best seller on Amazon is the Watkins Pure Vanilla Extract. Good vanilla extract will really improve any recipe that calls for it. This recipe is so easy. Once you combine your dry ingredients, you’ll cream the wet ingredients together. Slowly add the dry mixture to the wet mixture. Place your cookies on a cookie sheet and sprinkle with nutmeg before baking. How simple is that? Full directions are below. What Else Can I Make to Serve at a Christmas Party? Christmas cookies are a must at any holiday party, and I have quite a few for you to choose from! Try these white chocolate covered Oreos. You’ll have a hard time choosing from this list of Christmas cookies, and this list of a variety of Christmas sugar cookies. These Candy Cane Cookies will be so festive on any holiday table, and you must have gingerbread over the holidays – so here is a roundup of delicious gingerbread recipes. If you want an assortment of desserts, I’m sure you’ll find a few you’ll like from this list of Christmas desserts. For more chocolate recipes, check out this list of decadent chocolate Christmas desserts. Have you ever made a dessert with eggnog? Make it a new tradition with one of these eggnog dessert recipes. Though these red velvet cake boozy balls were originally intended for Valentine’s Day, they would also be perfect for Christmas, and so much fun to serve at a cocktail party! Don’t forget to make Cranberry Moscow Mules or one of these holiday cocktails! For those of you on the Weight Watchers plan, these Weight Watchers cupcakes are a great option. How often can you have a cupcake while watching your weight? If you’re looking for cookies, this list of Weight Watchers Holiday cookies should have a few of your favorites made for Weight Watchers. 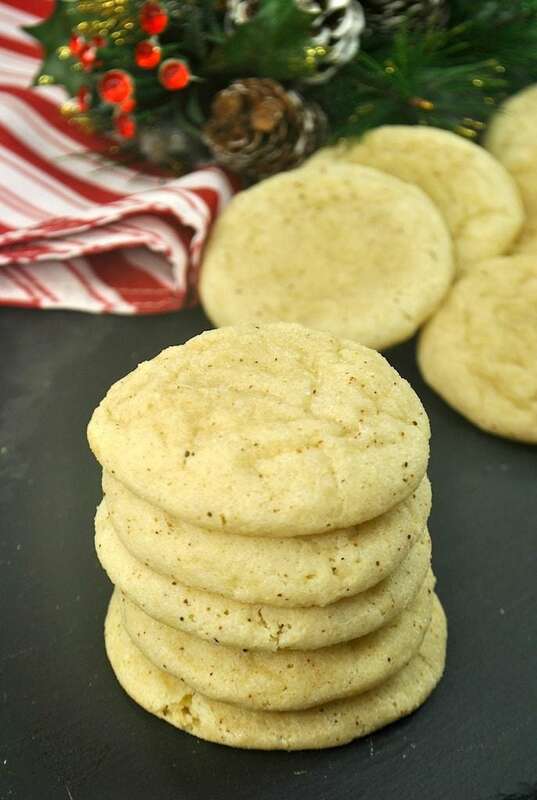 You’ll find the full recipe for these eggnog cookies below. 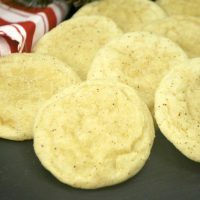 These eggnog cookies are so delicious, it's a shame they are only popular around the holidays! I want to make them all year long! Combine the flour, baking powder, cinnamon, nutmeg together in a small bowl. 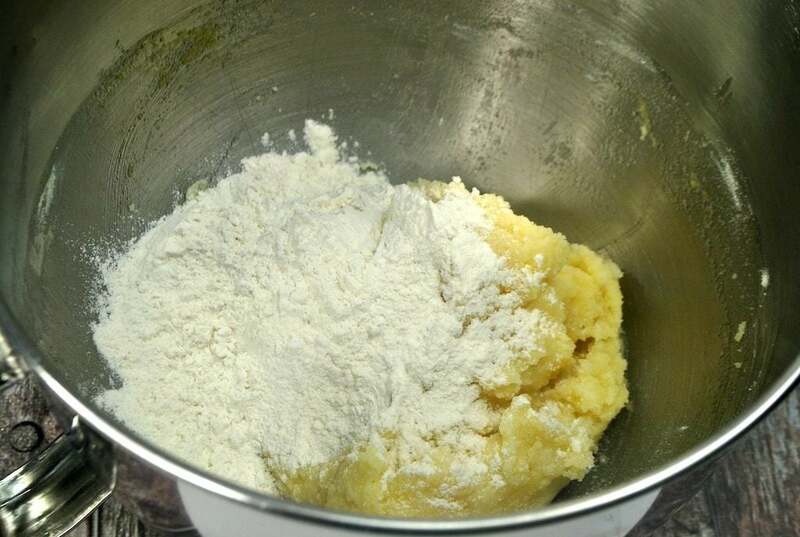 Using an electric mixer cream the sugar and butter together in a large bowl. Add the eggnog, vanilla, and egg yolks beating at medium speed until smooth. Gradually add the dry ingredients to the wet ingredients. Beat at low speed just until blended. Using a small ice cream scoop measure the dough out and drop them by teaspoons onto the prepared cookie sheets. Leave 1 inch between each cookie. Sprinkle lightly with additional nutmeg. Allow the cookies to cool slightly before transferring to a wire rack. Leave the cookies on a wire rack to cool completely. Please come back and let me know how these turn out! Merry Christmas! Please clarify oven temp for baking cookies. 1. Tells you to preheat oven to 300 deg. But 8. Says to bake cookies at 350 deg. Is there an typo in first oven temp? So sorry, Paula. Absolutely a typo. Preheat to 350 degrees.